For a lot of us, walking is not as easy as it looks. Patients with cerebral palsy, “brittle bones” or osteogenesis imperfecta, a spinal cord injury, clubfoot, muscular dystrophy, spina bifida or another neuromuscular disorder can face a lifetime of physical mobility challenges. 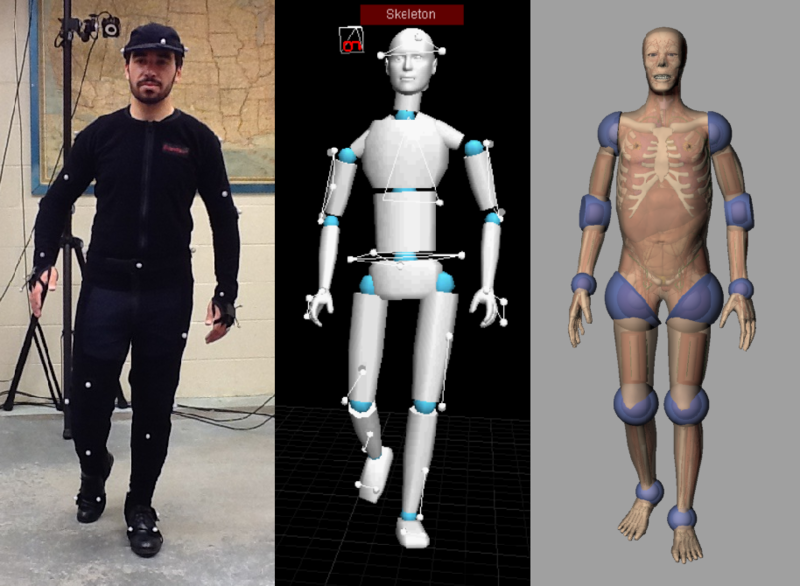 Real-life motion data (left) is acquired on a motion capture platform (centre) and used to determine the posture of the CHAD phantom (right). Creative Commons Image: Vazquez88. Technology can be used to help diagnose, address and even rehabilitate patients who face such challenges, and it’s often the same technology used in Hollywood movies. High-definition camera systems, advanced data analysis and computational techniques, skin sensors and more are used on big-budget film sets to create amazing special effects and composited images that put real, physical actors in unreal, virtual environments. 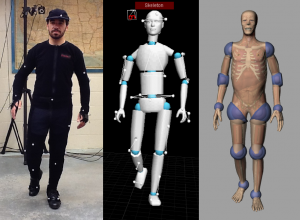 Something similar to motion capture, as it is called, is also used in some state-of-the-art healthcare facilities, such as at 14 Shriners Hospitals for Children facilities, including the one in Montreal. 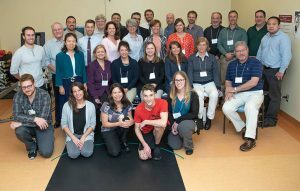 One of only two pediatric centres for motion analysis in Quebec, the Motion Analysis Centre (MAC) opened a year ago thanks largely to support from the Ladies of the Oriental Shrine of North America (LOSNA) from Toronto during the Exceptional Care for Exceptional Kids Capital Campaign, and their contribution of $500,000. Outfitted with specialized cameras that capture the movements of markers attached to a patent’s feet, legs and trunk, sync’ed to high-def video cameras used to record images of how the patient is actually walking, motion analysis becomes an effective tool to diagnose issues, guide decisions and track outcomes for orthopaedic and neuromuscular patients. Those markers may not be fashionable, but they are a kind of wearable technology that can lead to truly positive health care outcomes. Using its technology, MAC staff accurately measure and describe the walking patterns and complex motion problems of children and adolescents aged five to 21. Other technologies used include skin sensors that, once placed, can accurately monitor how a patient’s muscles are working. Sensors placed under the feet record pressures under different parts of the foot during walking, and platforms recessed into the floor measure forces acting on the body as the patient walks. With these technologies, it is possible to quantify a patient’s movements in space and time, health care providers describe. The Centre’s team can detect abnormal motion patterns and understand the negative biomechanical impact of those movements. Analysis is done before treatment (surgery or physiotherapy, for example), and also after treatment to assess its efficacy and impact. 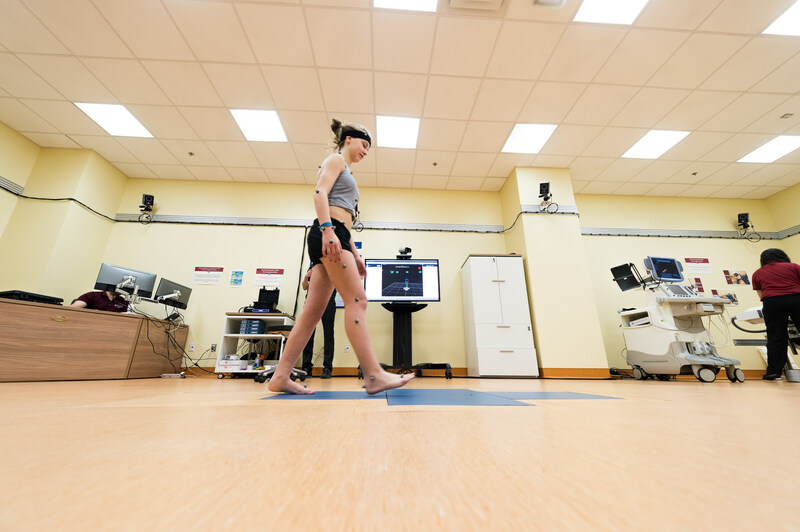 Multi-disciplinary teams incorporate their training and experience with the equipment’s data reporting output to evaluate patient movement while they walk, reach, push and twist. The results measure muscle strength and cardiopulmonary fitness, and are big contributors to clinical decision-making about surgery, braces or other care and treatment options. 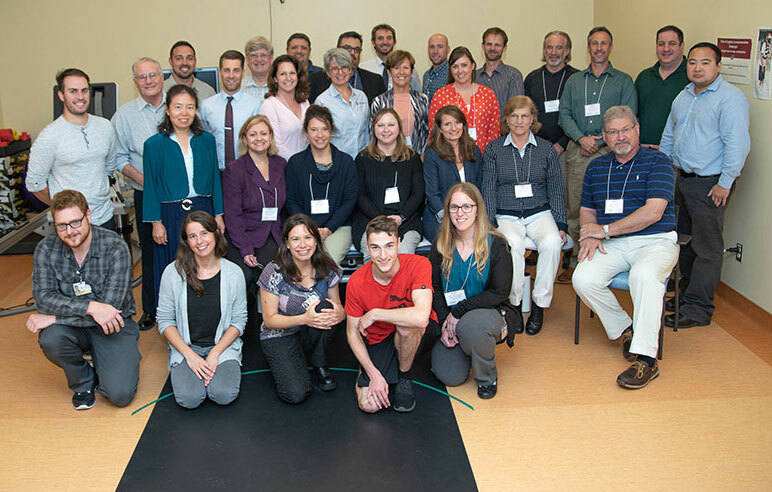 The Canada Shriners Hospital recently hosted experts from 12 of the 14 Shriners Hospitals that have Motion Analysis Centres in a bid to facilitate the exchange of ideas and information about motion analysis and patient outcomes. One of the first steps is the development of advanced computational techniques and common databases to ensure that clinicians from different centres can track, evaluate and determine treatment using the same terms and techniques. 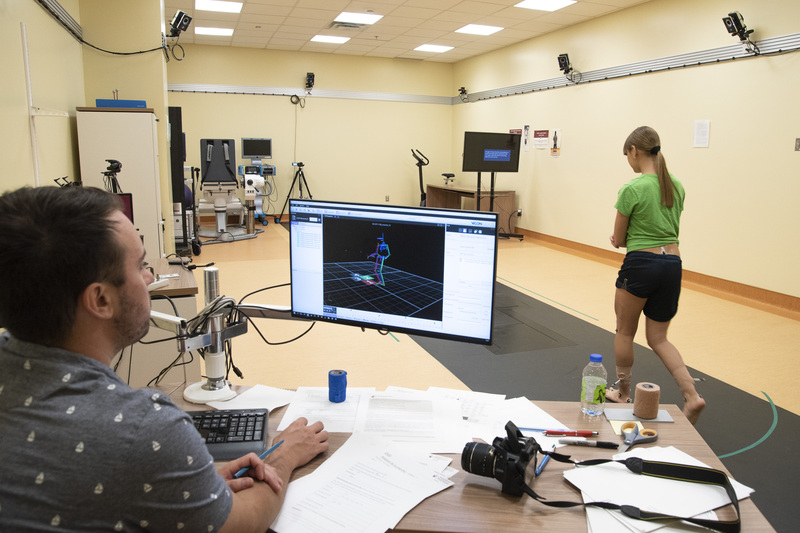 The Canada Shriners Hospital recently hosted experts from 12 of the 14 Shriners Hospitals that have Motion Analysis Centres in a bid to facilitate the exchange of ideas and information about motion analysis and patient outcomes. All 13 MACs in the Shriners Hospitals for Children network are involved, and the Canada Shriners Hospital will be an active participant in what is being called SMALnet, the Shriners Motion Analysis Network. Each MAC sees hundreds of patients per year and each patient assessment includes the collection, organization and storage of large volumes of data. “Being part of multicentre studies within the Shriners Hospitals for Children network and hosting consortiums such as this one are extraordinary advantages as we are many working together to improve patient care,” noted Reggie Hamdy, M.D., chief of staff at Shriners Hospitals for Children – Canada and director of the Centre. As uses beyond for motion capture technology beyond cinematic entertainment continue to be developed, staff at the Canada Shriners Hospital Motion Analysis Centre will be also help develop sports medicine evaluations, arthritis prevention and therapeutic tools. The MAC at Shriners Hospitals for Children — Canada is initially expected to evaluate 100 to 150 children per year for full analysis, as well as for partial analysis evaluations. The Centre serves not only the people of Quebec but also people in rest of Canada and in the northern United States.